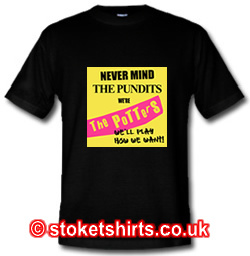 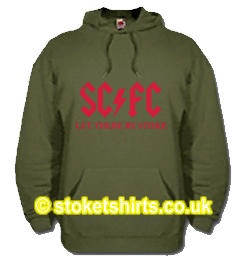 We have had this design on the back burner for 12 months but now seems a great time to release it as we celebrate a great Stoke City team playing attacking football, with two traditional wingers and beating a so called top four side and having 64% possession of the ball. 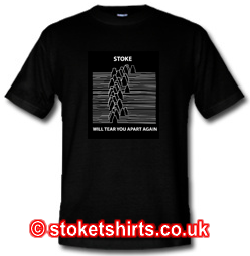 Stoke Will Tear You Apart Again. 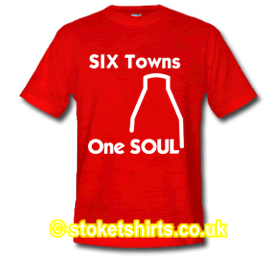 Our twist on a very familiar classic album cover with a little Potteries twist inspired by a suggestion from one of our best customers, Keith Mackenzie-Ingle. This product was added to our catalog on Saturday 13 November, 2010.